TIFF in the Park: TIFF 40 and the new TIFF in Your Park programme — a series of free pop-up screenings throughout the GTA all summer long, in partnership with Park People and local community partners — mark the first of 40 free public screenings. 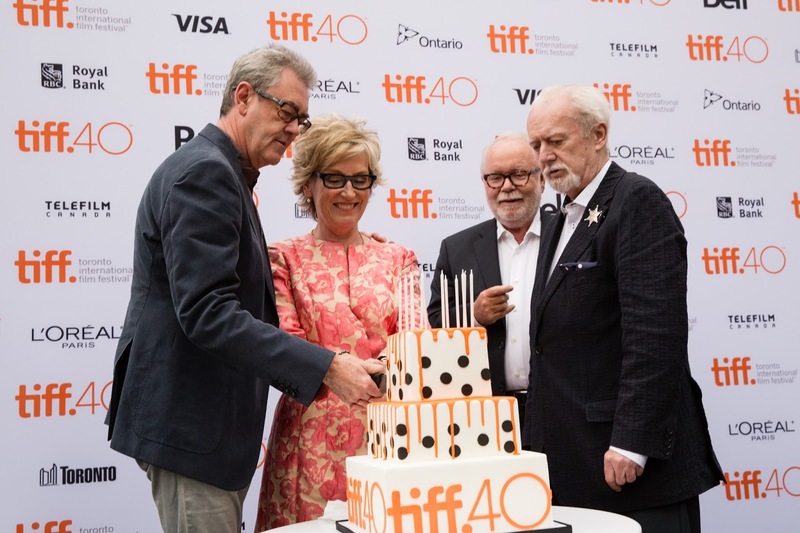 All of the films featured at both TIFF in the Park and TIFF in Your Park are highlights from TIFF's programming over the last 40 years. Other free films include TIFF 40: Your Favourites, a dozen crowd-sourced films screening during the fall season at TIFF Bell Lightbox on Tuesday evenings betweenOctober 6 and December 8 (the public can vote online at tiff.net/yourfavourites, now throughAugust 8, for a film from TIFF’s history that they’d most like to see again); seven restorations of past Festival and TIFF Cinematheque films from the organization’s 40-year history, screened in the TIFF Cinematheque programme at the Festival; and a free screening of Alfred Hitchcock’s Vertigo with a live performance of Bernard Herrmann’s brilliant film score by members of the Toronto Symphony Orchestra, to take place on September 20 at Roy Thomson Hall, the final day of the Festival. The free programming will also include In Love with the Stars, an art exhibition in the CIBC Canadian Film Gallery, located on the 4th floor of TIFF Bell Lightbox. Running from September 8, 2015 to April 3, 2016, the exhibition will feature three archival collections from the Film Reference Library: TIFF’s archival coverage of red carpets and parties from the first Festival in 1976 to the end of the nineties; and two collections comprised of the work of individuals who were deeply inspired by the stars they loved: scrapbook maven Edith Nadajewski, who made unique scrapbooks of celebrities spanning almost 70 years from the early 1920s to the 1990s, and amateur Hollywood photographer Jack Pashkovsky, who captured celebrities on studio lots and at events during the 1930s and 1940s. The Jack Pashkovsky Collection was generously donated to TIFF by producer, Barry Avrich and the family of Edith Nadajewski donated more than 1000 of her scrapbooks. In Love with the Stars opens just ahead of TIFF’s next major fall exhibition, Andy Warhol: Stars of the Silver Screen (October 30, 2015 to January 24, 2016), which also explores audiences’ fascination with celebrity as we celebrate 40 years of stargazing in Toronto. The selected TIFF 40: Your Favourites films and the TIFF Cinematheque programme will be announced in the coming months.